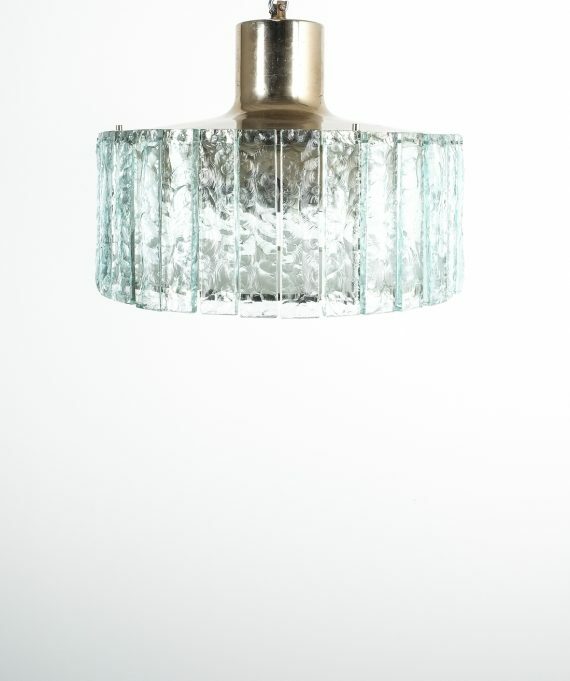 Fontana Arte Model 2448 Glass Nickel Brass, Italy Circa 1967. 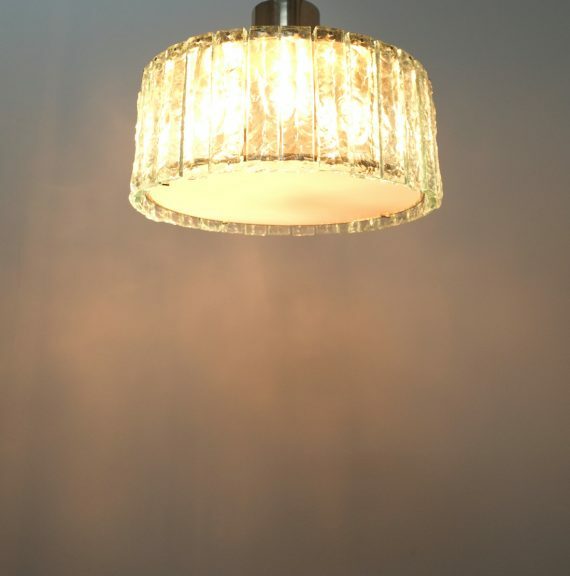 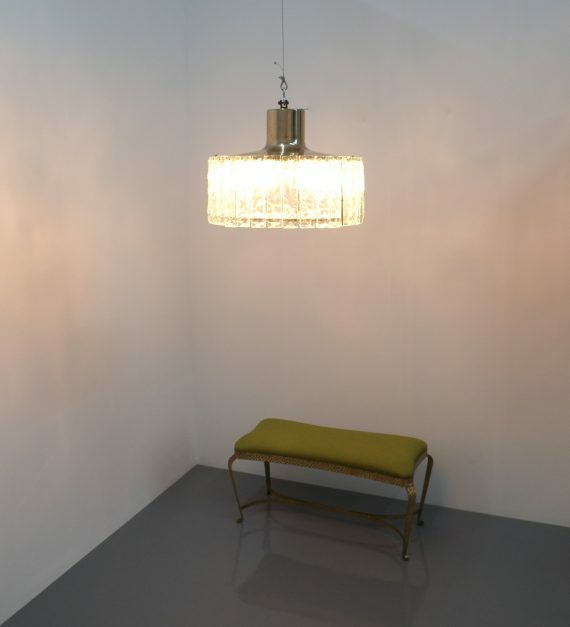 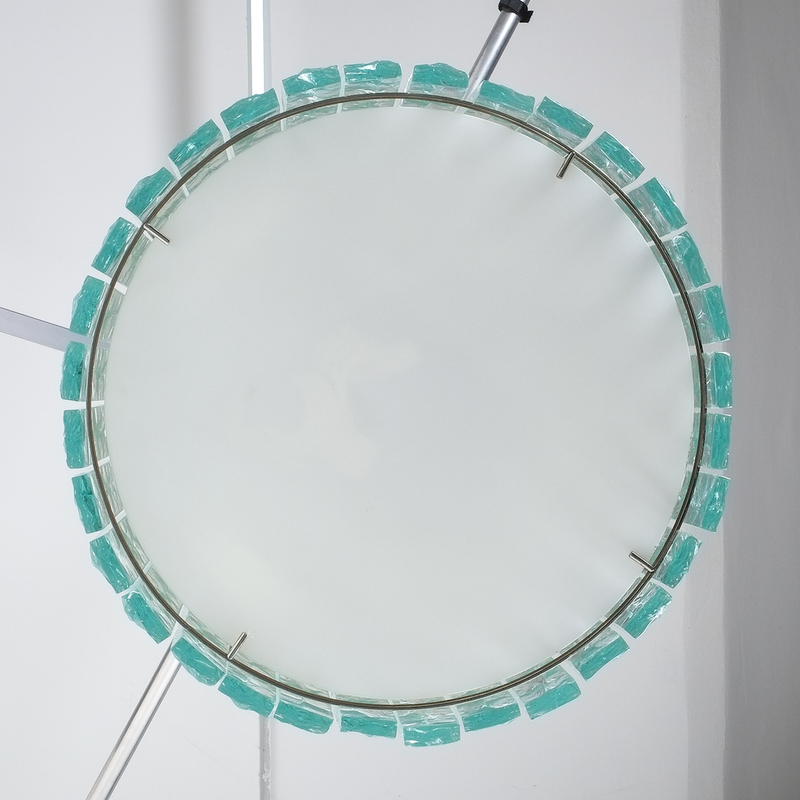 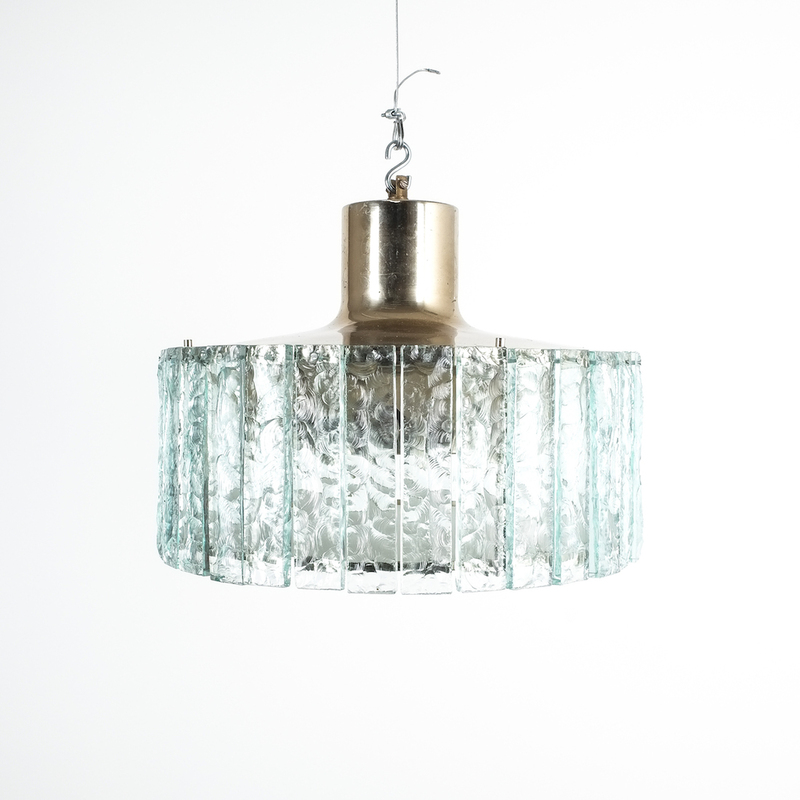 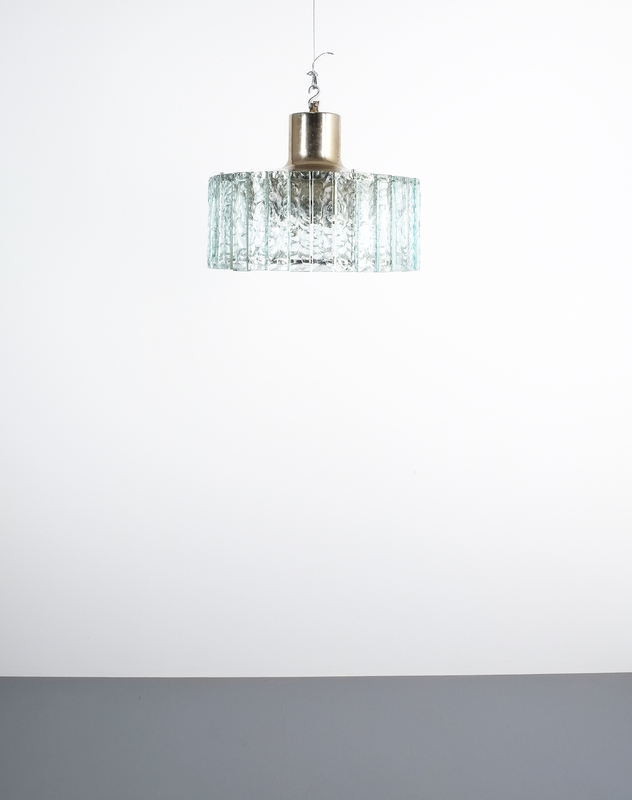 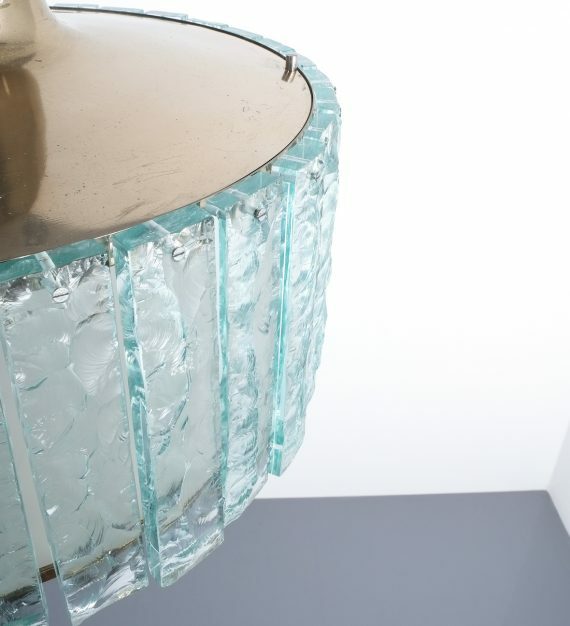 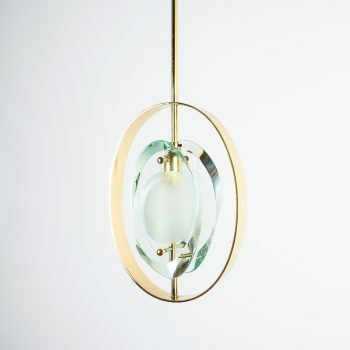 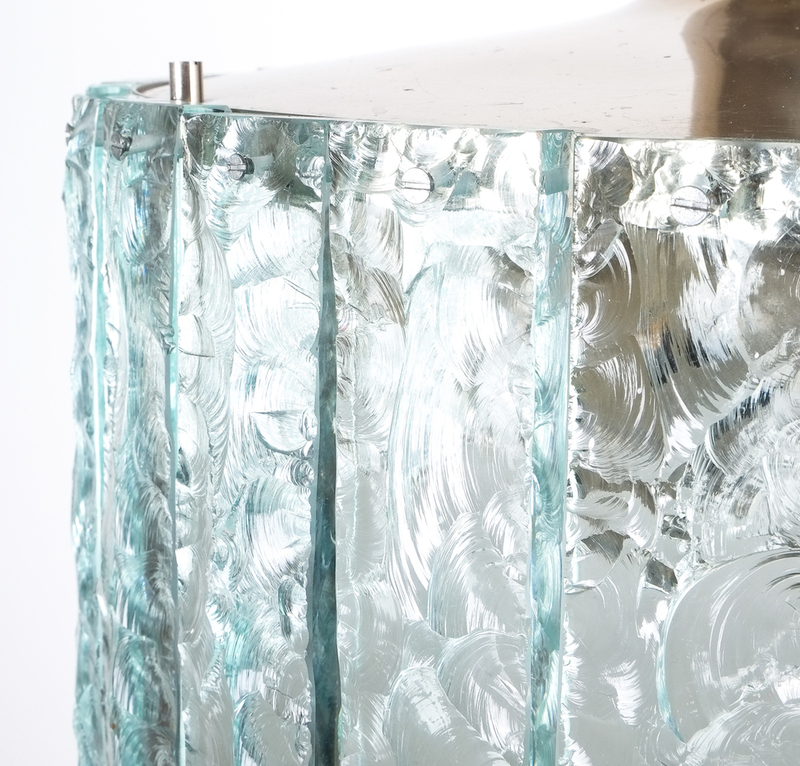 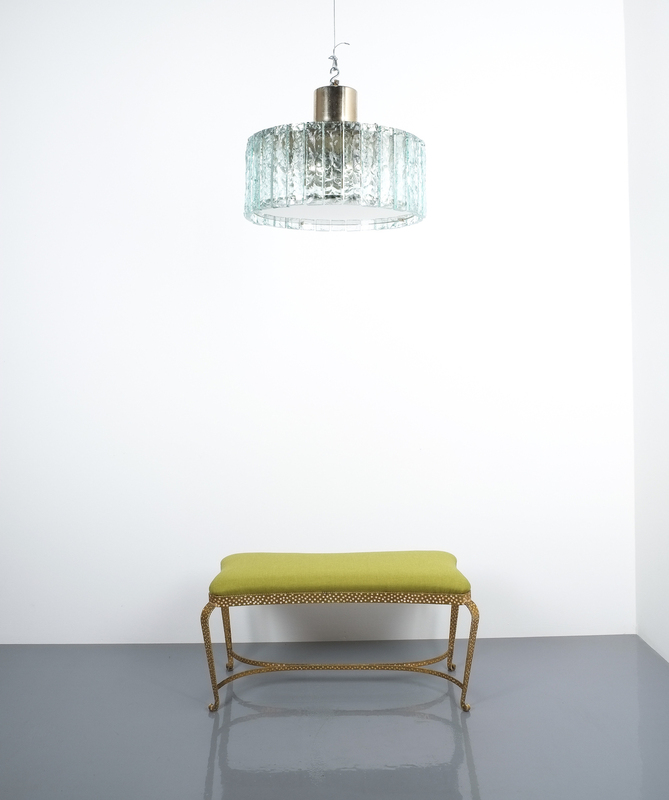 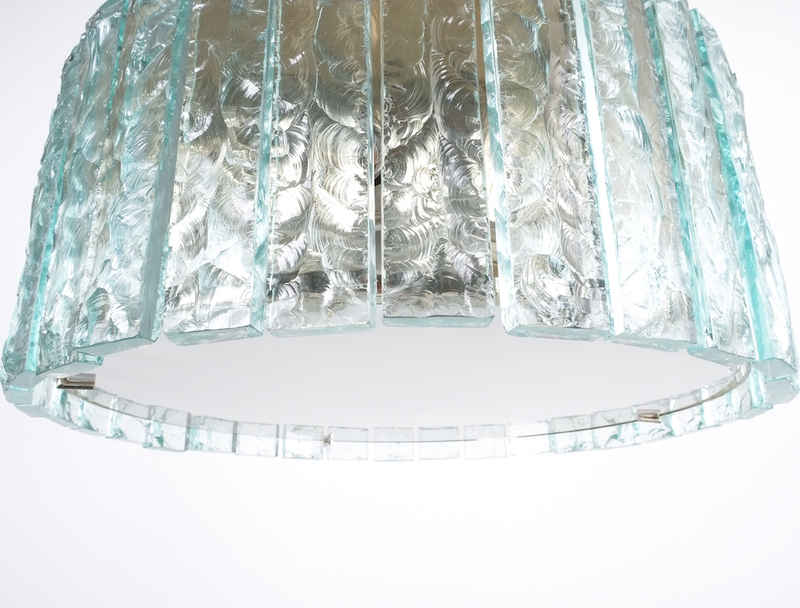 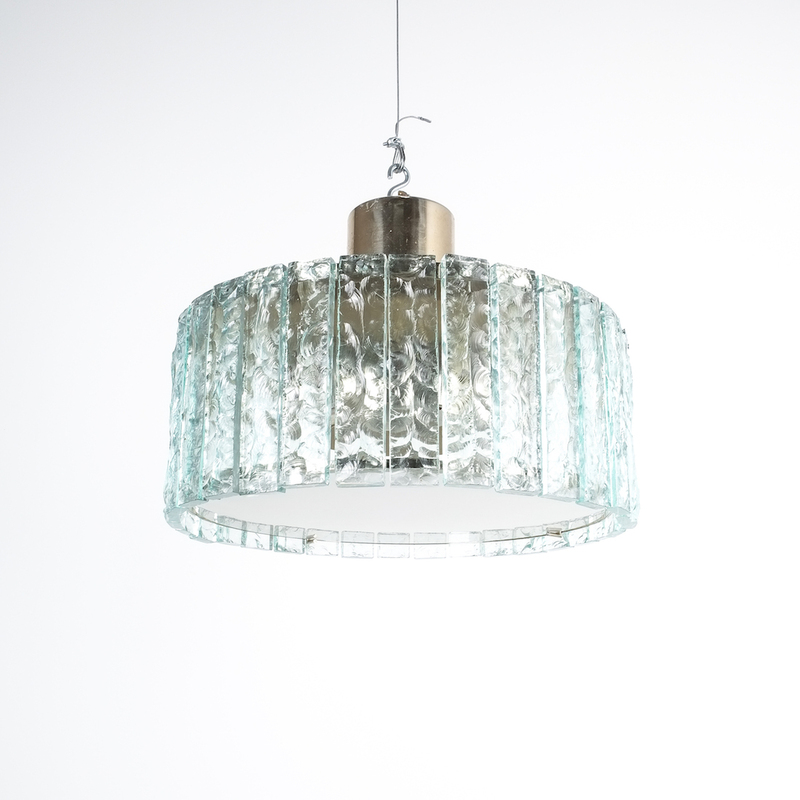 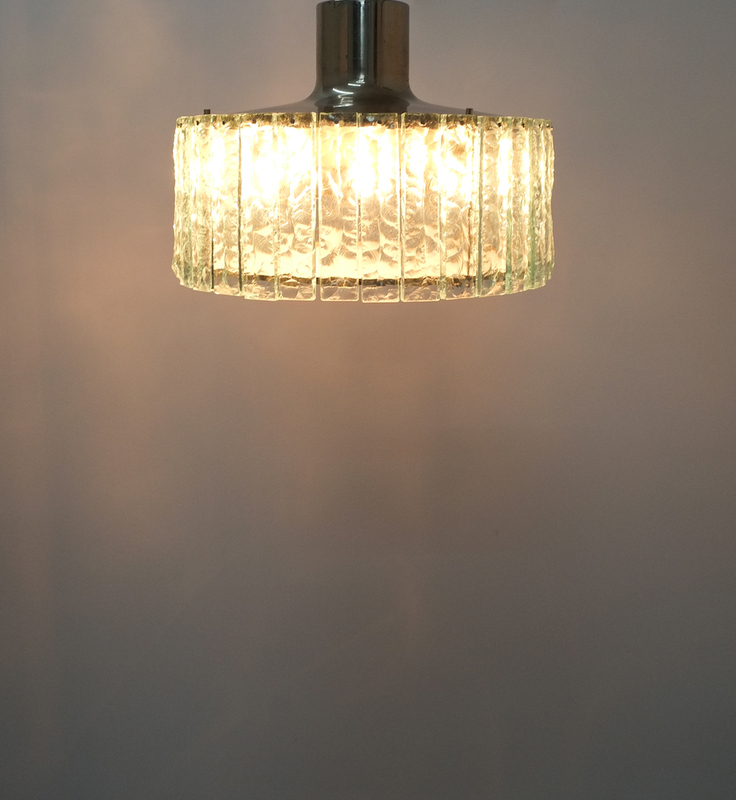 Beautiful chipped glass chandelier with a diameter of 18.9″. 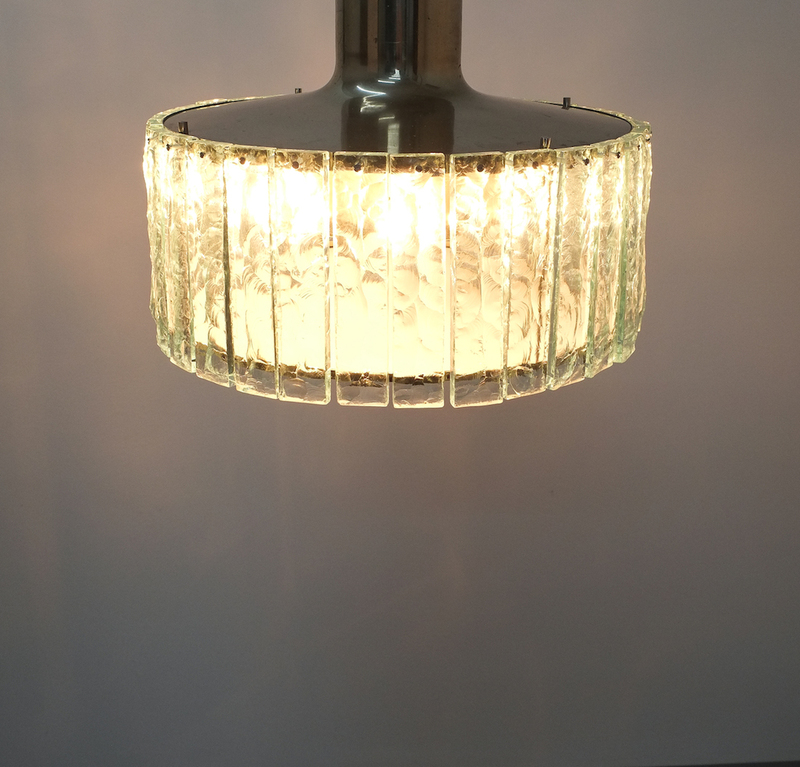 It is in excellent condition, 8 bulbs (e14) are illuminating this piece beautifully. 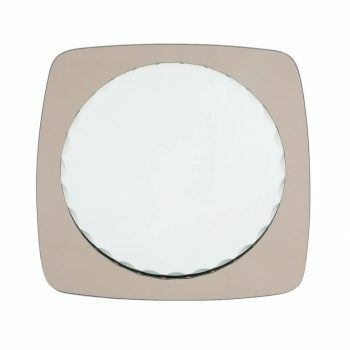 We offer worldwide shipping with expert shipping/packing service.